Bible Witness Ministries is a ministry of the new Assembly of Believers Church Ministry. The information contained on this website is for all believers who seek knowledge and truth in the word of God. We believe that all people will be judged by what they know to be spiritually true and by what is found within each person's heart. True knowledge of spiritual things can only be found by reading the word of God and by the Holy Spirit. The holy bible is an awesome gift to mankind from God; compiled over generations to lead each soul to salvation. The bible is our road-map to life. This book is packaged with valuable and relevant information, concerning the end-times, as described in the bible. The bible is the primary source of information contained in this book. Learn about the gospel of the kingdom the way Jesus and the apostles taught it long ago. Please take time to read this book, so that you will not be left in the dark concerning what's to come. Q. When Jesus said this generation shall not pass, what generation was he referring to? A. Jesus was specifically talking to His disciples at that time, so He was referring to the generation that the disciples were living in. He was not talking about our generation that is so far removed from the time that He made the statement in Matthew 24:34 KJV; it is a common misconception in many churches today. In fact, the next prophetic event to come on this earth is the establishment of Christ's kingdom here on this earth, not His second coming. A. It's true that texts that you references seem to contradict, to a certain degree. But when you look deeper, they all fall into place. 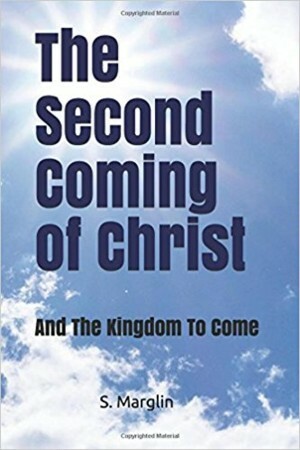 The premise of the book "The second Coming of Christ and the Kingdom to Come" is to use the bible to separate end time prophetic texts and place them in their proper order in time. Then allow the reader weigh the biblical evidence, while using their faith to believe all that is written concerning the end times. What Paul wrote in 1 Thessalonians 5:1-5 and what Jesus said in Mark 13:32-35 may seem to be contradicting, but when you look closer, and use other scripture to pull both texts together, you can see how well they mesh together. The first thing to notice is that both Jesus and Paul are talking in terms that let the people know that His second return (for His saints) will occur in their current generation. Paul says it will not take THEM by surprise which backs up Jesus' words telling THEM to actively be watching for the “harvest”. This is also apparent in John 4:35 (KJV)... Say not ye, There are yet four months, and then cometh harvest? behold, I say unto you, Lift up your eyes, and look on the fields; for they are white already to harvest. Both Jesus and Paul give the people the same immanent warning; Be ready for it. The contradiction is not with the message but with the mistranslation of the word “Day”. The word “day” can be taken literally (24 hours) or symbolically to mean “a period of time” or “an age”. In Mark 13:32-35, Jesus is telling the people that they will not know the exact literal “day”. They knew the time period, because Jesus gave them the signs that they should be looking out for in their generation (Matt 24:34). In 1Thessalonians 5:1-5, Paul is not referring to the literal “day”, but instead he is telling the people that they do indeed know the “time period” because they can see the signs coming to pass in their own generation. This same concept concerning the root word “day” can be seen when Jesus told the thief on the cross that “ToDAY shalt thou be with me in paradise” (Luke 23:43). Jesus didn't mean that the thief was going to heaven on that very day (Jesus didn't even go up to heaven on that very day), He meant that in that same time period or age, the man would be taken up to heaven and would be counted among the saints (see also Romans 11:5). Now this is where things become very relevant to us living in this present day and age... Revelation Chapter16 and Matthew chapter 25 are both prophetic chapters referring to Christ's final return (not the second coming), during the time of the final Judgment; still yet to come. We know this because the judgement being described includes ALL the nations (not just old covenant Israel) and Jesus is sitting on His thrown in the everlasting kingdom down here on Earth (see Matthew 25:31-32). Jesus' final return to reclaim the Earth, sit on His throne down here, and rid the Earth of all evil, will come upon those who dwell on the earth (us) by surprise. For the most part, those who are a part of the body of Christ are not together in the truth. Some believe a certain teaching and others believe a different one, which tells us that there is much darkness in the world today; spiritually and generally. We are the ones living in “darkness”; not the first century church. The time of Christ's final return is going to take the present day church, and the whole world by surprise; like a thief. The first century church didn't know the exact literal day or exact hour that Jesus was going to appear in the sky (to take away the saints)... but they did know the generation that it was going to occur in. So Jesus came upon them like a thief in that sense of the matter. Our generation on the other hand knows nothing; not the day, not the hour or the generation of His final return (to judge the whole world with His saints), unless we FULLY believe what is written in the scriptures. The enemy of God has committed his final act; satan has deceived the whole world and has pulled a veil over the truth. Jesus foretold of this time while He taught His disciples... John 9:4 I must work the works of Him that sent Me, while it is day: the night cometh, when no man can work. Today there are many teachers teaching a word... but not the truth as it concerns the end of all "things". So Paul (being influenced by the Holy Spirit) was speaking the truth and his words were not in contradiction to what Jesus taught. It may look like it on the surface, because of the way the bible has been translated, but the truth can still be found; by the grace of God. Do you have a question about the video or the information provided?